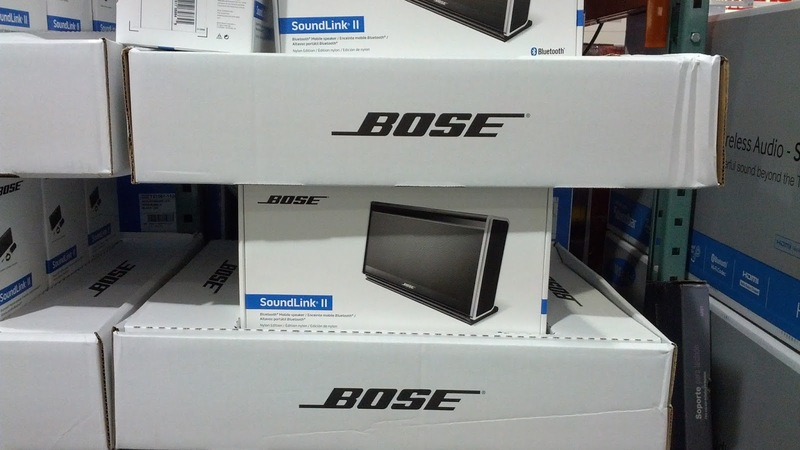 If you're like me and you have a ton of music from iTunes, you'll love listening to them on these Bose speakers. You can play your music from your mobile device or laptop computer with the integrated Bluetooth, and it's small enough that you can take it anywhere - if you watch the Office, then you'll know that you can turn your office place or living room into Cafe Disco. You'll soon find out that Journey and Neil Diamond have never sounded so good with the clear sound of the Bose Soundlink Mobile II. If you're looking for something a bit cheaper, then you can also check out the Sony SRS-X3 portable speaker as well. Use the Bose Soundlink Mobile II Bluetooth Speaker to play music off your smartphone, tablet, or computer. 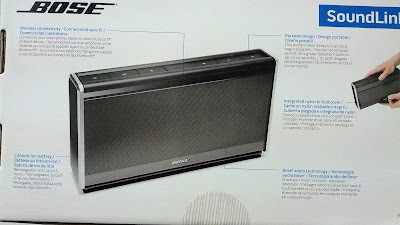 The Bose Soundlink Speaker is portable and can wirelessly connect to your Bluetooth devices. 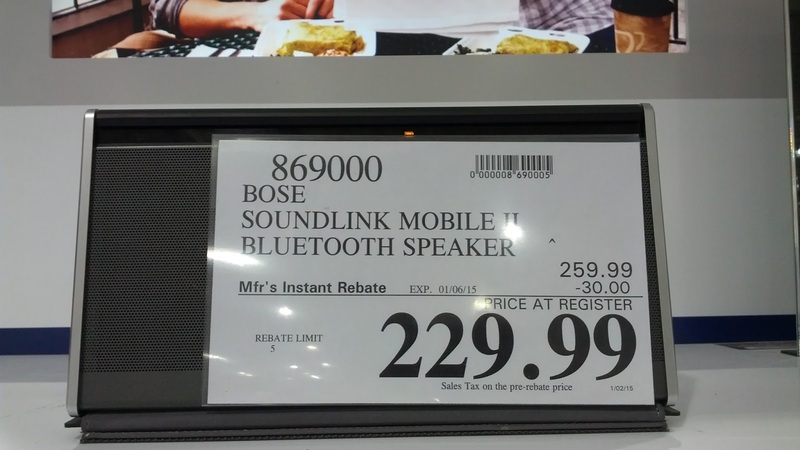 You can now get the Bose Soundlink Mobile Speaker at Costco. Turn it up with Bose audio. Turn your computer, tablet, or smartphone into a stereo with these Bose speakers. The speakers are light and portable that you can take it anywhere with you wherever you want to play music. Wireless connectivity: connect to your laptop computer, tablet, smartphone (including iPhone and Android) or other Bluetooth enabled device. Portable design: Thin profile makes it easy to slip into a backback or bag for on the go tunes. Integrated nylon bi-fold cover: protects speaker, folds into compact stand. Lithium-ion battery: Rechargeable, lasts up to 8 hours. Bose audio technology: Share your music out loud - whenever, wherever. Any chance of this deal being repeated? Hi @Cynthia, Costco usually has certain products available for sale a few months at a time before it's take off the shelves. If they do have it available again, a lot of times they'll have a newer version of it. 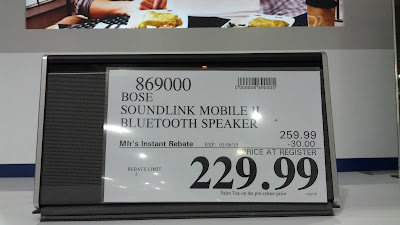 The rebates, fortunately, come and go and are common enough that you can easily get some additional savings on the Bose Soundlink Mobile II Bluetooth Speaker.